After relocating their corporate headquarters to Clifton, New Jersey, Titan opens a new international sales office in Houston. Our new international sales office will allow Titan to continue to focus on global expansion as well as strategically dedicate resources to the growth of domestic accounts. Titan Technologies International is proud to announce the opening of their new international sales office in Houston, Texas. Located at 20333 State Highway 49, Suite 200, the new office will house Titan's entire international sales team. The new office will work closely with other Titan divisions located at their corporate headquarters in Clifton, NJ as well as with Titan Technology International’s manufacturing facility, Arlington Machine and Tool Co. in Fairfield, NJ. Sales teams in the Houston office are strategically formed to service targeted regions worldwide including Latin America, Europe, Asia, and Africa. Ron Toretti will be heading up Titan’s international sales effort, with Irma Gaines heading up strategic accounts for Titan’s multinational distributors. John Staudinger, CEO of Titan Technologies explained, "Our new international sales office will allow Titan to continue to focus on global expansion as well as strategically dedicate resources to the growth of domestic accounts." Titan Technologies products are manufactured to the highest standards in the company’s Arlington, NJ plant. Their patented tool designs are more durable, effective, safe, and versatile than similar tools on the market. Titan’s products are tested and used in grueling circumstances on projects both domestically and worldwide. Titan Technologies International manufactures, sells and distributes industrial bolting tools for the safe and effective installation, maintenance and removal of industrial bolts. The product line includes hydraulic torque wrenches, pneumatic torque wrenches, electric torque wrenches and other bolting tools. The company’s corporate office is located in Clifton, NJ. 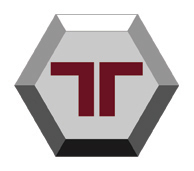 Titan Technologies International Manufacturing is located in Fairfield, NJ. The International Sales office is located in Houston, TX. For more information on Titan Technologies International, please visit the website at: http://www.titanti.com.